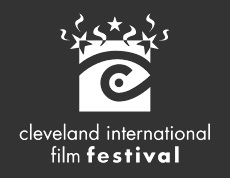 Calling all filmmakers: The 37th Cleveland International Film Festival (CIFF) Call For Entries is now open! For submission details, deadlines, and fees click here. The CIFF has grown to attracted more than 85,000 people annually, with over than 300 films that represent approximately 60 countries. Don't miss out on this opportunity to showcase your work at one of the leading Film Festivals in the world and to be eligible for $42,000 in cash prizes. The 37th CIFF will take place April 3 - April 14, 2013 at Tower City Cinemas.